. إن الخدمات التي يقدمها Aruba Surf Resort تضمن للنزلاء إقامة مريحة. يقدم الفندق فرصة للاستمتاع بشريحة واسعة من الخدمات بما فيها: خدمة حجز التذاكر, تخزين الأمتعة, صف السيارات, مرافق للشواء, جولات . في Aruba Surf Resort غرف نوم يزيد عددها عن 30 صممت بذوق وعناية لتوفر لك كل وسائل الراحة . بعضها يحتوي أضاً على تلفزيون بشاشة مسطحة, حمام إضافي, سجاد, رف للملابس, قهوة فورية مجانية. يمكنك طلب اللائحة الكاملة للخدمات في الفندق ومن بينها حوض استحمام ساخن, مركز للياقة البدنية, مسار جولف - ضمن 3 كم, حمام سباحة خارجي, حديقة. مهما كانت دواعي سفرك فإن Aruba Surf Resort هو خيار ممتاز لإقامتك في جولد كوست. لا يملك مكان الإقامة أي مصعد. يتعين على النزلاء الذين سيصلون خارج الأوقات المذكورة الاتصال بالعقار مباشرةً قبل الوصول حتى يتسنى إجراء ترتيبات بديلة. Very impressed with this accommodation! Relief Managers with extremely helpful, the apartment was spotless and had many extras one would not expect in such a reasonably priced accommodation. We were so happy we extended our stay but two days. Thoroughly enjoyed the pool and spa. So close to everything we barely used the car. The underground secure parking was a bonus and it was very quiet. Will definitely return, thank-you. We spent a fantastic 5 days in Aruba Surf Resort - the position could not be better, close to Broadbeach centre, the beach, Pacific Fair and the Casino. The staff were courteous and helpful, the position quiet for rest. 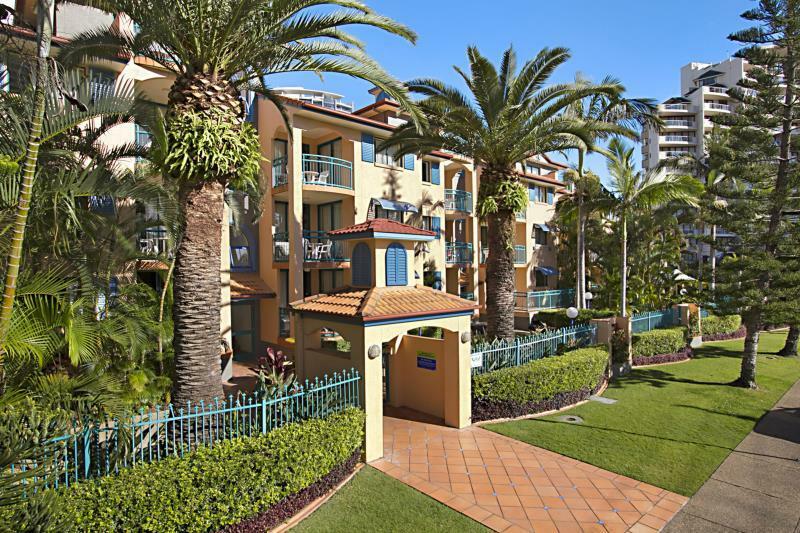 This is our second stay here and if we are ever back on the Gold Coast, we will stay here again. Room excellent and very qieut area despite being 2 blocks from bars, shops and restuarants. Lovely swimming pool and chill out area within apartments. 200 yards from white sand beach. 20 min walk to sufere paradise or 5 mins on tram. TIP - Buy 24 bottles of beer from beer shop (cheaper) and keep them in your fridge TIP - Brisbane for the day about 1hr 50 mins away and make sure you buy a Go Card from Newsagents for cheap travel on trams ,buses and trains. Great location, close to shopping and restaurant areas and close to park and beach. Quite area and plenty of secure parking. Spacious unit and kitchen had everything you could need. Staff was good and helpful. Location is near to the beach and all eating places. It is a self contained apartment so you need to wash your own dishes, clear your own rubbish and wash your own towels. No lift. Location is away from the highway so it is very quiet yet it is walking distance to all the attraction. No vehicles noise. Overall it is a good stay. My three must haves are 1. cleanliness, 2. location and 3. customer service. Aruba Surf scores 10/10 for all three. 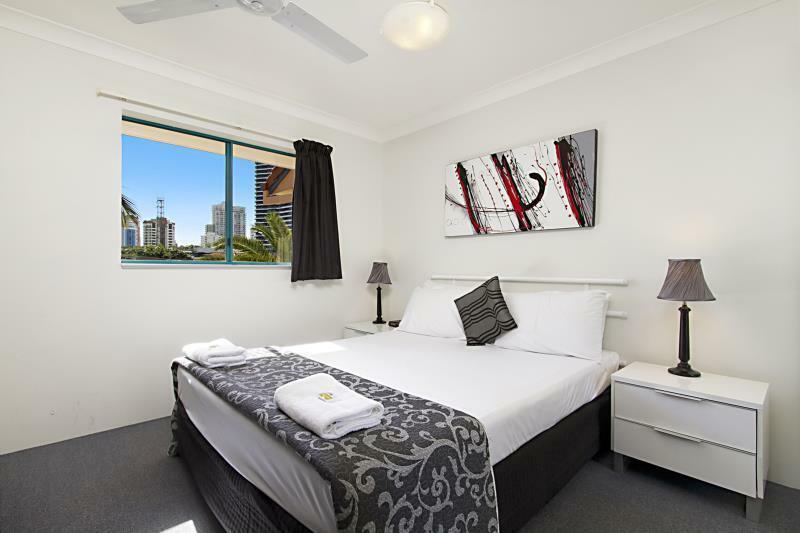 It is less than a 5 minute walk to both the Broadbeach transport centre and Pacific Fair. The decor is dated and there is no lift so a bit of a haul if you are on a top floor, but this is reflected in the price. Gardens and pool area are well maintained and there is a large barbecue area for families. Facilities are quite satisfactory. Close to light rail, OASIS Shopping Centre and Pacific Fair. Beach and Coffee shops within easy walking distance. Check out the new Kurrawa Surf Club for coffee and dining. Would stay again in a street facing room. Venue was great, very central and easy to get to everything. Staff were very helpful. Unit was clean and comfortable. Altogether a very pleasant stay. Would certainly stay againand would definitely recommend. Perfect for an easy breezy holiday. Close to the beach, Pacific Fair Mall, and lots of fab eating/coffee spots. My friend and I spent 3 days here and had the pool and spa to ourselves nearly every day! Would use again for sure! The room facilities were wonderful in this value for money resort. Washing machine, dryer, dish washer, hairdryer and full kitchen equipment are included. It's in a great location as well. 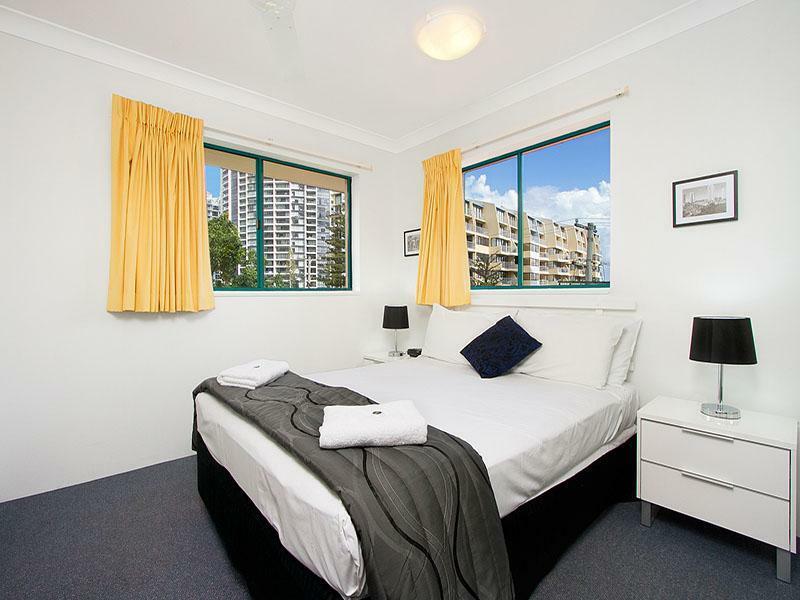 Just a 5 minute walk to pacific fair shopping centre and the wonderful train line that takes you to all popular areas. Only there for a week but wished we'd stayed longer. 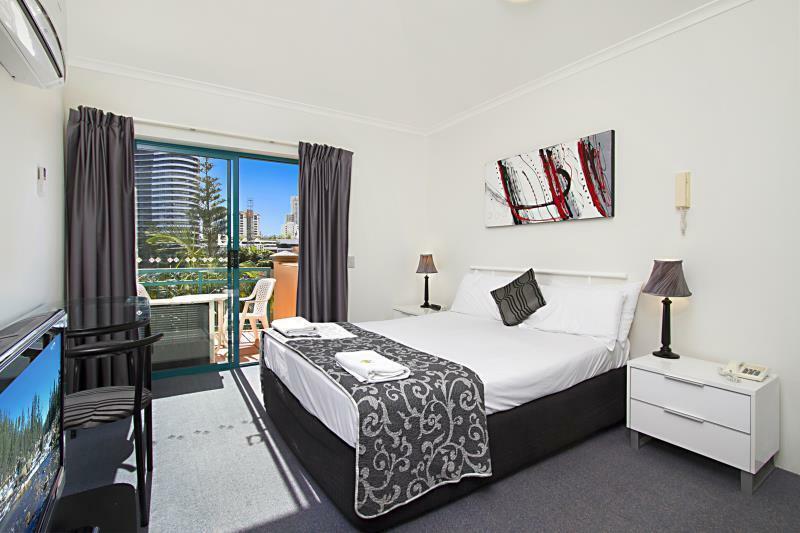 Great location being close to beach, Pacific Fair Shopping Centre, Broadbeach centre and light railway. Rooms were clean and ample for our purposes although a new paint job would really make it. Staff were helpful throughout and pool/spa nice and relaxing. Great value for money and will be going back again! At $86.00 per night this was perfect and would book and stay again. Bed was not comfortable however the couch was. Stayed by myself in a 1 bed apartment, had everything I needed while attending a conference. No need to pay more elsewhere for a bed.